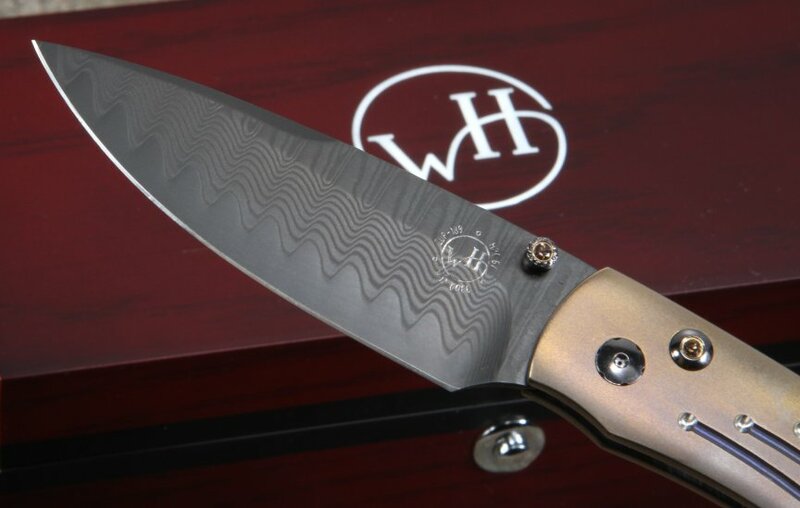 This is William Henry's B12 Burns model - long drop point blade shape with wicked sharp black coated wave pattern damascus with a ZDP-189 core. 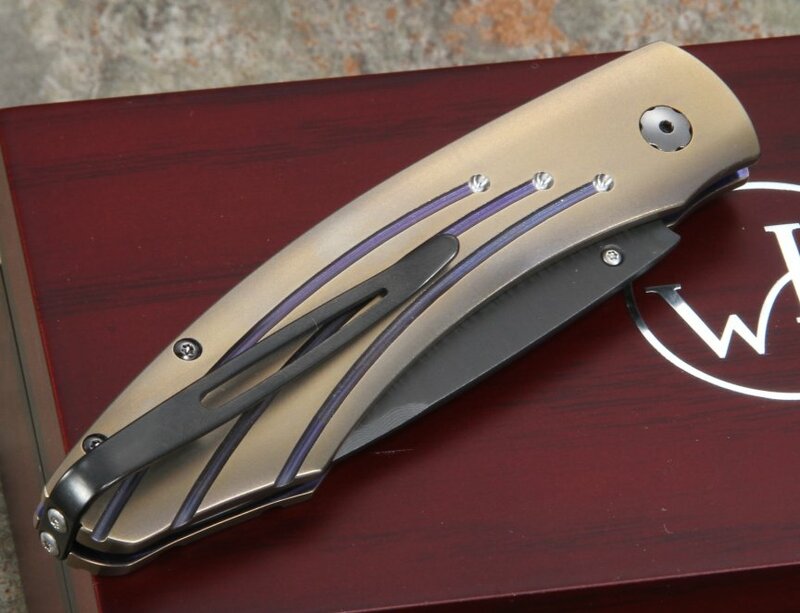 The handle is made of integral titanium with 3d machining and gold anodization. The Spearpoint pocket knife has a reversible pocket mounted on tip up on the end of the knife. Extremely smooth opening with a solid button lock - the button and thumb stud are inlaid with smokey quartz. 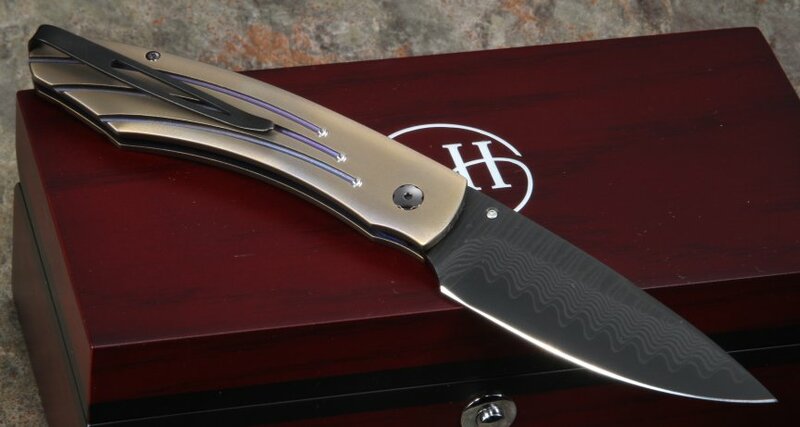 This William Henry Spearpoint model - B12 Burns is a nice choice to both carry and admire as work of functional art. 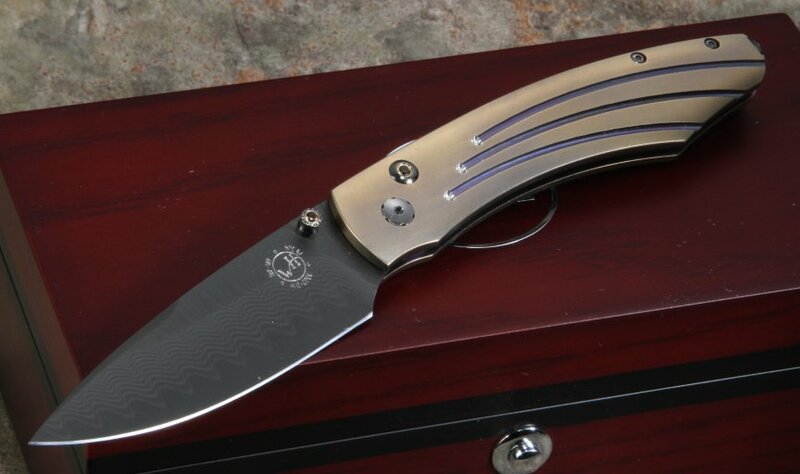 The Burns is a limited edition folding knife of only 500 individually numbered items and comes in an attractive wood presentation box. Purchase with confidence, we offer a satisfaction guarantee and fast shipping.